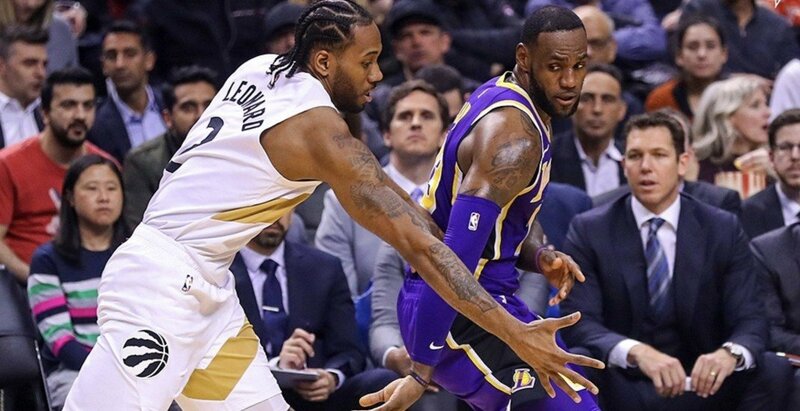 DAMN, it is definitely about the soon-to-be free agent Kawhi Leonard as there is a possibility he could join Lebron on the Lakers! Gosh i love that he told him this so they can talk about it later, good eye! BREAKING: LeBron James and Kawhi Leonard talking. #FutureLaker confirmed. I will forget all about this season if the Lakers sign Kawhi Leonard in July. This isn’t the first time there has been speculation about Leonard leaving the Raptors. In January, it was reported that Leonard purchased a brand new $13.3 million home in California. Fans on social media were jumping to conclusions upon hearing the news. With the home being located nearly three hours away from the Staples Centre (home of the Lakers and Clippers), it is safe to say this could just be a place for an offseason getaway. As for LeBron’s ominous comments who knows what “we’ll be in touch” could actually mean. Maybe it was an invite to hang out after Leonard is done with playoffs — since it looks LeBron and the Lakers won’t be making them. Either way, stay calm Raptors fans. Kawhi is still here, and they’ve got a championship to focus on.